Lisbon is an vastly interesting city on so many levels. It’s a vibrant city rich with history and the Portuguese culture. It’s a city that offers the visitor a plethora of experiences; everything from visiting the incredible National Azulejo Museum to taking a ride in an electric Tuk Tuk. And, surprisingly, although the city is built on hills that will test your endurance, it is actually quite a walkable city. So whether you opt to see the city on your own, or take a private guided tour with a local, there is always something to see and do in Lisbon. The capital city of Portugal, Lisbon boasts a population of just over half a million, but when the cruise ships arrive and the summer tourism season kicks in, it can feel as if the city boundaries will nearly burst. But don’t let that stop you. The city welcomes all and there is plenty of room for everyone. With that being said, it can be a good idea to break away from some of the highly touted tourist sites, such as the waterfront, and take on exploring some of the lessor known sites. For example, the archaeological digs at Igreja de Santa Maria Maior. 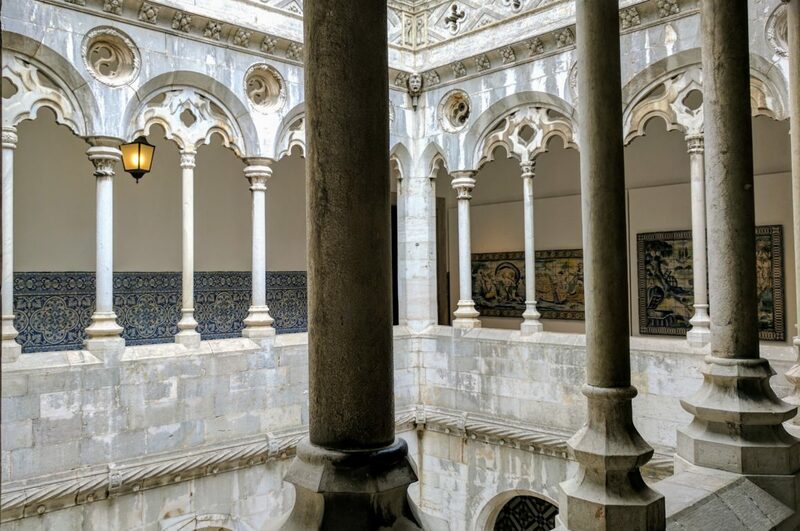 The cathedral is beautiful and interesting to explore, but it’s the adjacent archaeological site that will really give you a sense of the history, of the cathedral, and of Lisbon. For a couple of history nerds lovers like us, the digs proved to be fascinating. 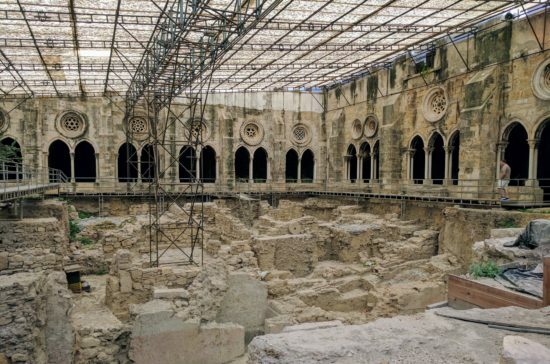 The archaeological digs at Igreja de Santa Maria Maior surrounded by the cloisters. 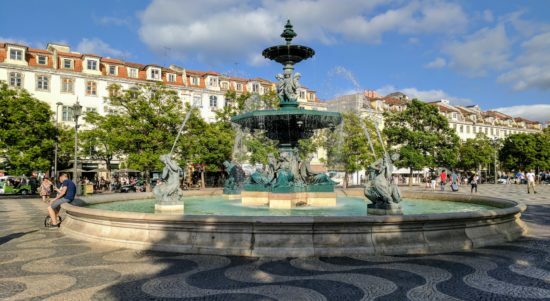 With an unwarranted reputation for only eating fish, we’ve been asked many times about dining options when visiting Portugal; Lisbon in particular. Here’s the thing, I am not a fish eater. Actually, I am allergic to shell fish and I tend to just stay away from most fish as I don’t care for it. Although, I will enthusiastically dive in to a basket of freshly deep-fried fish and chips. Yum! We have always found the food scene in Portugal to be amazing. Whatever you’re craving at that moment in time, you’ll find it in Lisbon. It’s a foodies paradise. 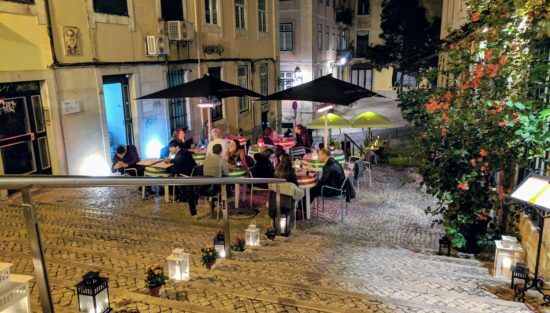 And, what we love about Lisbon, especially, is the little out of the way and tucked down a side street eateries. Just wander the city and you’ll find anything you’re looking for. At this little tucked away cafe we enjoyed delicious salted and grilled Padron Peppers, Sangria and beers. Heaven! A lovely little eatery tucked in a side street and down a flight of stairs. After catching up with our friends, from Our Big Fat Travel Adventure, over our peppers and drinks, we made our way to a little out of the way spot. 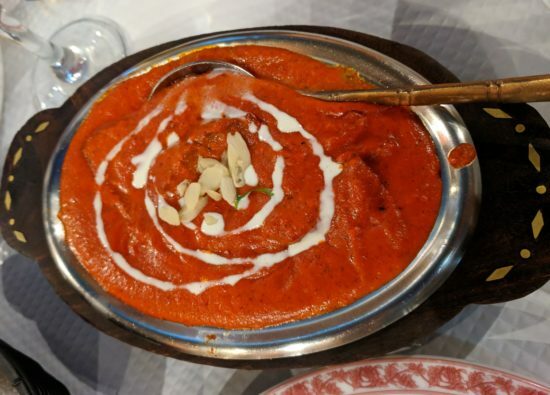 Indian food is highly recommended when dining in Lisbon and other cities in Portugal. We’ve eaten some of the best Indian food ever while exploring Portugal. It’s also a great choice for vegan, vegetarian and gluten free diets. If ever a city begged to be photographed, it’s Lisbon. Well, actually anywhere in Portugal is a photographer’s dream come true. The colors, the incredible tiles, the patterns and the architectural designs of the Portuguese are no less than infamous. There gets to be a point when sometimes I just put away the camera and take in the sites. There are so many photo ops it can take away from the actual real time experience. 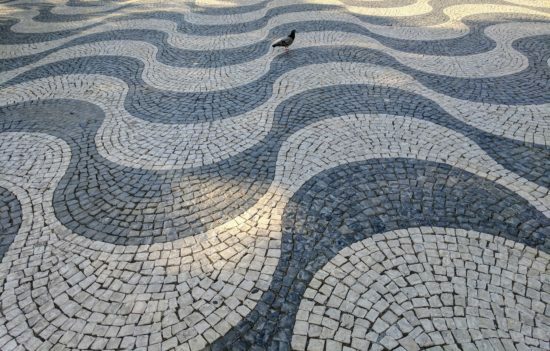 The waves of the sea on the tiled pedestrian promenade. Whenever possible we take public transportation to get around wherever we find ourselves. We rarely will rent a car because we don’t want to deal with traffic, figuring out the rules of the road and worst of all, parking. If we can’t get somewhere by our own two feet, then we’ll hop on a bus, a street car or the metro. If absolutely necessary we’ll catch a taxi. The Lisbon metro system offers good public transportation to just about anywhere in the city. Lisbon, while as I said is quite pedestrian friendly, is a large city and there are times when one needs to hop on the metro. What we appreciate about Lisbon’s public transportation system is that the different modes of transport are all interconnected. When we arrive by plane, we can hop on the metro right at the airport and head to pretty much anywhere in the city. The metro also travels to the Oriente Train Station where we can board a train bound for Porto, or anywhere in Europe. It’s super easy. The train station is huge and takes a little patience in navigating. But, now that we’ve arrived/departed several times, we find it to be user-friendly. What we especially appreciate is just across the boulevard from the Oriente Train Station is a large shopping mall, a variety of eateries and hotels. It’s the perfect location in which to stay if you have an early morning flight out of Lisbon. Walk to the train station, catch the metro and whoosh, you’ll be at the airport in just a few stops. You can search Lisbon accommodations here. 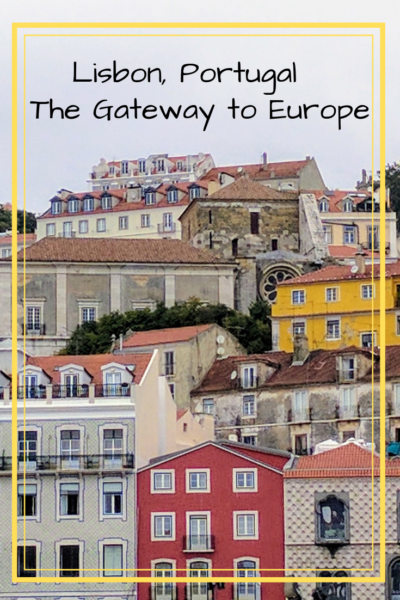 When I think of Lisbon, I think of the city as being the gateway to Europe, but I also think of Lisbon as an excellent travel destination that offers visitors a memorable experience. So, what are you waiting for? Love reading your blogs! My husband and I are going to visit Portugal in Sept. for two weeks. We fly into Lisbon, spend 4 days, then? That is where you come in…We want to go to Porto, but we also want to go to the Algarve/Lagos, etc area. I was thinking after Lisbon (where we are not renting a car), maybe a train up to Porto…how many days do you think we need there? I also want to go up the Douro Valley maybe on a boat trip? Then either fly from Porto to Faro? Rent a car and drive, stopping along the way of course? Thanks for any suggestions! Sure, that would work. Keep in mind it’s only a 3-hour drive between Lisbon and Lagos. We have not made the drive but we know several people that have and it seems to be easily doable. Lagos is lovely and a great place to spend a day or two. Very charming city center, lots of streets and alleyways to explore, and a lovely pedestrian walkway along the waterfront. Definitely a good idea to be back in Lisbon the night before your flight and choose a hotel near the Oriente Train Station. It makes it super easy to get to the airport. On our last return from Lisbon we spent the night at the Hotel ibis Lisboa Parque das Naçoes, which is just a 10-minute walk to Oriente, where you can get the metro to the airport. Hi! 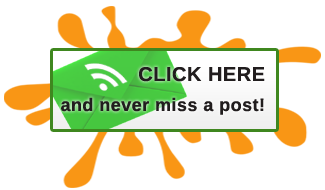 I was connected to your blog by Jackie at Travel and Write. I just wanted to add that we just did the coastal drive from Santiago de Compostela to Sagres and then over to Tavira last autumn. It was super easy for the most part (you’ll want to be sure your car has the electronic transmitter for tolls if you go across the bottom.) If you’re relatively comfortable behind the wheel in Europe, Portugal is pretty easy. They are a little more like the Spanish in their driving style but we’ve found that in general, the closer you get to the Mediterranean the more “agressive” the driving gets in general. Very similar to driving in any major city in the US. Hello Michelle, I’m so pleased you found us. We’re big fans of Travel and Write. And, thank you for the great tips about your road trip experiences. We’re in the Azores right now- we’ve been here for 3 weeks after spending 2 weeks on Madeira. We head to the Lisbon area tomorrow to hang out- 3 days in the city, 3 in Sintra and 3 in Cascais. We’re checking out areas for our possible expat experience. 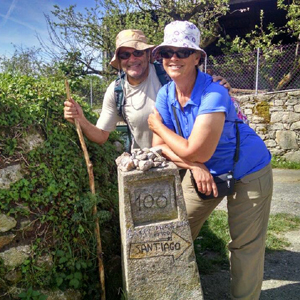 This is our 3rd time in Portugal- we really love the area, the food, and the people. The language is a challenge but we muddle along! It sounds like you’re in Porto (which we’ve been to and also like that area a lot!) or I’d suggest we meet up for a meal and conversation. 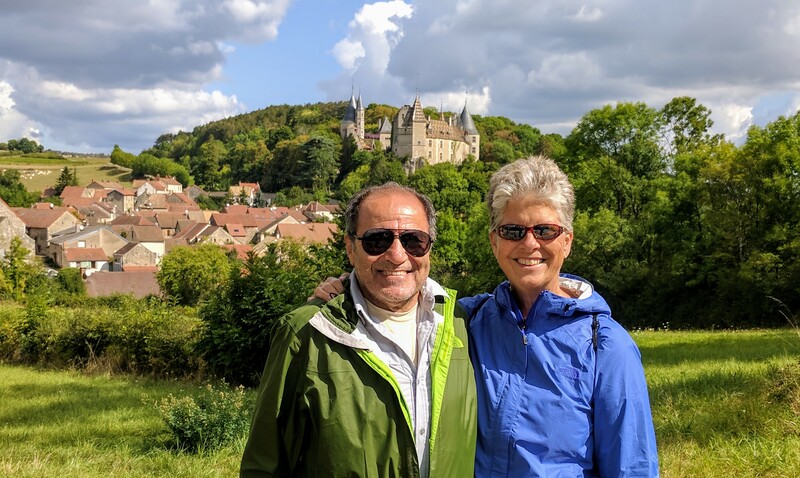 Some day we’ll get to Jackie and Joel’s area of the world as well- we used to live by them in Kirkland before we each headed off- us to Austin, TX (aging relatives and more sun) and their expat experience in Greece. Oh, I love Lisbon and, unlike you, love all of the Portuguese fishy dishes too – although I still haven’t developed a taste for Bacakhau … yet! I usually use Lisbon as my hub city when traveling and schedule a night or two either before or after a trip to see something new in the city. And yes, those little eateries off the beaten path offer some tasty eating as well as lower prices. Looking forward to our paths crossing there or elsewhere sometime soon. I know you love the fishy dishes and Portugal is definitely the place. But we do agree on the subject of Bacalhao… the smell knocks me out! Our paths will cross again, this I know. Hi Patti, we just booked a cruise from Miami to Lisbon (April) and are planning to go directly to Porto for a few nights and then back to Lisbon for a day or so before flying on to points unknown, as yet. I had a similar question as Leslie, so thanks for that answer in advance. We want to do some port tastings while in Porto, and I know you have written about that, so I will read those posts again. The river cruise sounds like a nice idea. Do you know if they include stops for port tastings along the way? 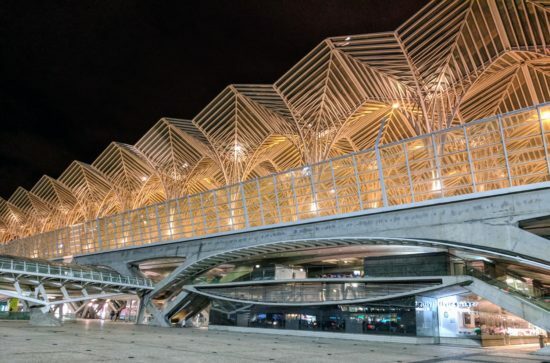 Also, is the train station close to the cruise port in Lisbon, or will we need to taxi there? Suzanne ~ Curious what ship you will be on as good friends of ours are also cruising from Miami to Lisbon in April. The Oriente Train Station that we’ve traveled in/out of is not near the ship docks. I believe though that the Alcantara Train Station is, but we’ve never been to it. If you don’t have time constraints you can easily spend a week in Porto. There are a lot of river cruises to choose from, we’ve only done the 1-day trip and it included lunch, but not port tasting. Just pop in to any of the tourism offices in Porto, they all have the information. Or, you might find one online. It’s my understanding that Porto is very busy in the spring, so reserving early may be a good idea. Hi Patti, I got the embarkation port wrong. We typically leave from Miami, but this year we booked the Azamara Journey out of New York. It arrives in Lisbon on May 3rd. We are not sure yet when we will fly home, or from where, so there is still time to consider options in addition to Porto.. What other areas would suggest? Say if we have 10 days total. P.S. I always have to register to leave a comment. Most sites are automatic after one comment. Not a bother, just thought I’d mention it in case you have it set up differently. Thanks! Thanks for the heads-up about the comments, Suzanne. I’ll look in to that and I’ll email you about suggestions.